Beaux Arbres is back on-line. Some new replacement equipment has been installed and, as long as a storm system does not come between us and our satellite, we should be re-connected with the internet world. 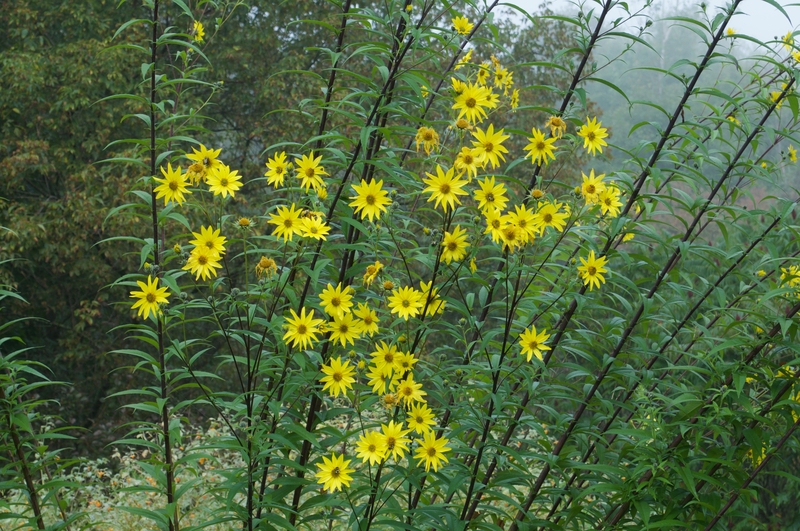 The photo is of Tall Sunflower (Helianthus giganteus), adding its own sunshine to a grey, misty morning.